Ulsterman Josh Elliott will line up on the Bennetts British Superbike Championship grid in 2019 alongside Luke Mossey on the OMG Racing Suzuki after a race-winning season in the Pirelli National Superstock 1000 class. 2015 Superstock 1000 champion Elliot joined the OMG Racing team for the fourth round of the Pirelli National Superstock 1000 Championship this season, adapting to the Suzuki and taking OMG’s first ever win at Thruxton. Six podiums and a wins later, the 24-year-old was promoted to the premier class at Assen and found himself running inside the top 10 at Brands Hatch. Elliot said: “I’m so happy to be riding for OMG Racing in the BSB next season. This is something I’ve been working hard for and I’m very grateful to the owners and our Team Principal, Paul Curran, for giving me the opportunity. 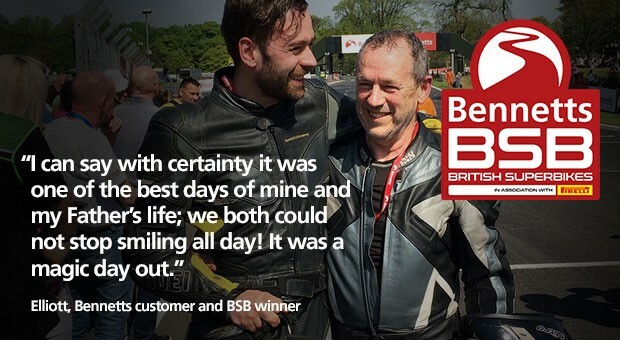 OMG Racing’s Greg McPhail concluded: “The owners O, M and G are very excited that Josh Elliott will be partnering Luke in the upcoming 2019 Bennetts British Superbike season. Josh gave the team some great results on our stock bike last season and in the two meetings on the full OMG superbike at Assen and Brands Hatch, demonstrating he is a real prospect for the future.